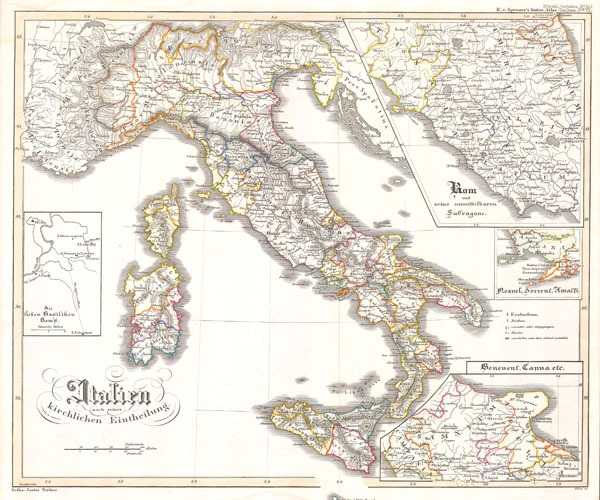 This fascinating hand colored map depicts Italy and Sardinia. There are detailed insets of the Roman Churches, of the vicinity of Rome, of the vicinity of Naples and the Amalfi coast, and of Central Italy. Issued in the 1850 edition of Karl von Spruner's Histor Atlas.